Perfect for gym changing rooms, schools, washrooms or general secure storage for employees. 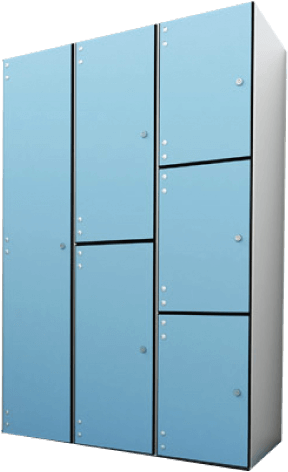 Styles of gym lockers available include; 1-4 Door Lockers, Z Door Lockers, Corner lockers. For a design, please get in touch and one of our team will be able to help. 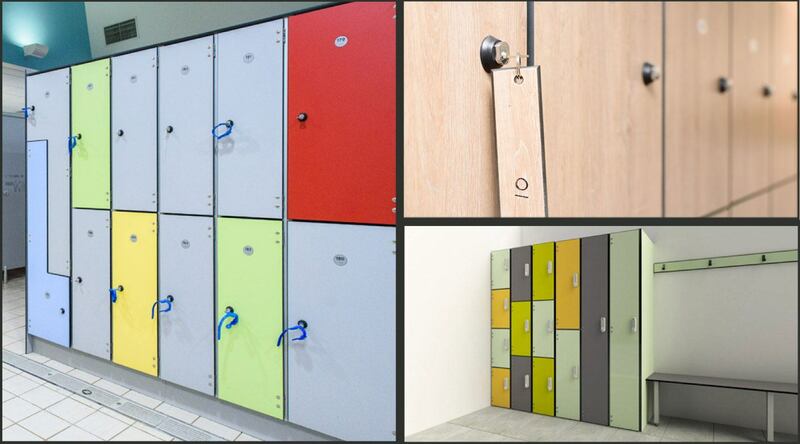 Nokk’s gym lockers are built to be robust and hardwearing; making them perfect for schools & changing rooms. With over 25 years experience within the washroom industry, we understand the requirements of these humid environments.